So begins this stunning portrait of Vivian Baxter Johnson: the first black woman officer in the Merchant Marines, purveyor of a gambling business and rooming house, and mother to one of our most cherished literary treasures. Anyone who's read the classic, I Know Why the Caged Bird Sings, knows Maya Angelou was raised by her paternal grandmother in Stamps, Arkansas. In Mom & Me & Mom, Angelou details what brought her mother to send her away and unearths the well of emotions Angelou experienced long afterward as a result. 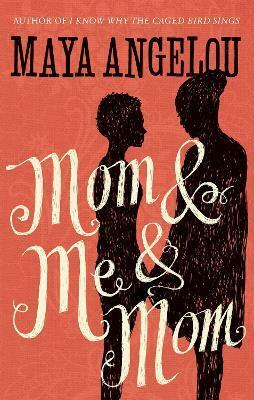 While Angelou's six autobiographies tell of her out in the world, influencing and learning from statesmen and cultural icons, Mom & Me & Mom shares the intimate, emotional story about her own family. Dr Maya Angelou was one of the world's most important writers and activists. Born 4 April 1928, she lived and chronicled an extraordinary life: rising from poverty, violence and racism, she became a renowned author, poet, playwright, civil rights' activist - working with Malcolm X and Martin Luther King - and memoirist. She wrote and performed a poem, 'On the Pulse of Morning', for President Clinton on his inauguration; she was given the Presidential Medal of Freedom by President Obama and was honoured by more than seventy universities throughout the world.